Domestic Apologist: Movie Trailer Friday: Scare the hell out of 'em. Welcome to the Screening Room for the Domestic Apologist! I thought I'd start something of a Friday tradition here, and it was either fish-fare recipes, or movie reviews. Considering the content below, you might wish I had gone with the former! 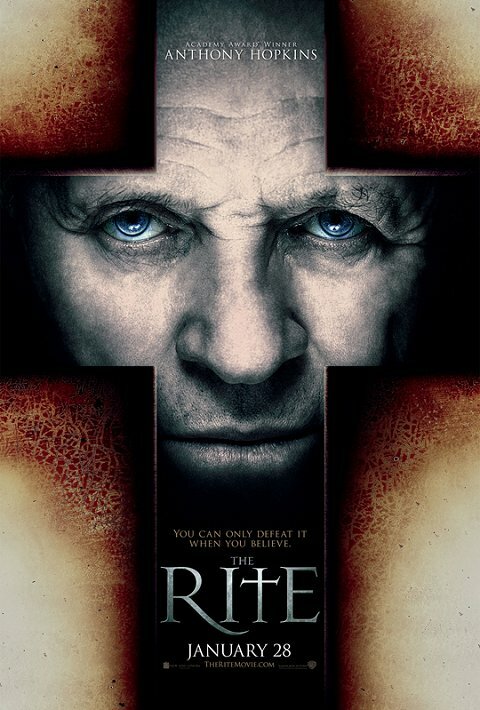 I won't be privy to an early screening of The Rite, and even if I was, I'm doubtful I could sit through it. Drama, when mixed with either horror or realistic violence, just isn't my cup of tea--unless it's being utilized for a grave artistic purpose. Instead, I rely on excellent Catholic movie critics, such as Steven Greydanus, who do get to preview these sort films. Steven, a regular contributor and blogger for the National Catholic Register, is a keen observer of Catholicism on the big screen. He, along with many other Catholics, found much to enjoy in another exorcism movie, The Exorcism of Emily Rose. I'll be waiting to read his take on The Rite. Until then, we'll be watching Planet Earth on Netflicks, here at the Harrell household. If you're looking to do a little preview reading on The Rite, here's a piece on the real-life priest from Northern California (holla!) who inspired the film.